Restore your youthful vitality and radiance with the help of Luminesce. Dermatologist developed, the Luminesce collection has formulated with the exclusive proprietary APT-20 – essential for maintaining younger, smoother and softer looking skin! Take your first step towards a younger looking you with the Luminesce youth restoring cleanser. In addition to protecting the skin’s natural hydration, the cleanser is gentle yet effective at removing impurities within your pores. Developed by Dermatologist Dr. Nathan Newman, the ingredients have been specifically selected to give you the very best results. Although the cleanser detoxifies the skin, it doesn’t strip away the essential nutrients or moisture which is essential in supporting the natural cell renewal process. Combined with an invigorative blend of antioxidants with a powerful stem cell technology, the Ultimate Lifting Mask is both beautifying and hydrating – even once it’s been removed! The exotic botanicals found in the Lifting Masque are essential for binding the skin’s surface whilst giving your skin and instant lift and helping with repair. Developed with stem cell technology, experience deep hydration and help protect your skin against premature ageing & maintain a youthful radiance. Essential Body Renewal will gently nourish, restore & soften your skin – working extra hard in those particularly dry areas. Supporting your body’s natural ability to renew, restore and rejuvenate your skin, the Luminesce Cellular rejuvenating serum will gently transform your skin, whilst minimising the appearance of fine lines & wrinkles. Skin will be left to feel younger, healthier and more radiant! Acting as a powerful anti-wrinkle moisturiser with SPF 30, help target the signs of ageing by supporting your skin’s natural ability to rehydrate. In addition to encouraging your body’s natural processes, the facial cream also infuses your skin with essential hydration. Dramatically rehydrate, renew and revitalise your skin but a far deeper cellular level. 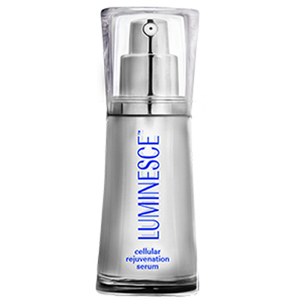 Take advantage of when the majority of cell turnover and regeneration occurs with the Luminesce Advanced Night Repair. Formulated with its expert blend of APT-200, antioxidant, hydrating & antiglycation ingredients, this ultra-moisturising will replenish and restore your skin, all while you sleep. It’ll help to reduce the appearance of dehydration lines; leaving you with a more youthful-looking appearance. Shop the collection at Beauty Expert, with free delivery.